The colder it gets outside, the more appealing the sunny Emerald Coast becomes. If you’re ready to trade the snow for the sand, now is a great time to take a look at this beautiful gem nestled between Seagrove Beach and Rosemary Beach. 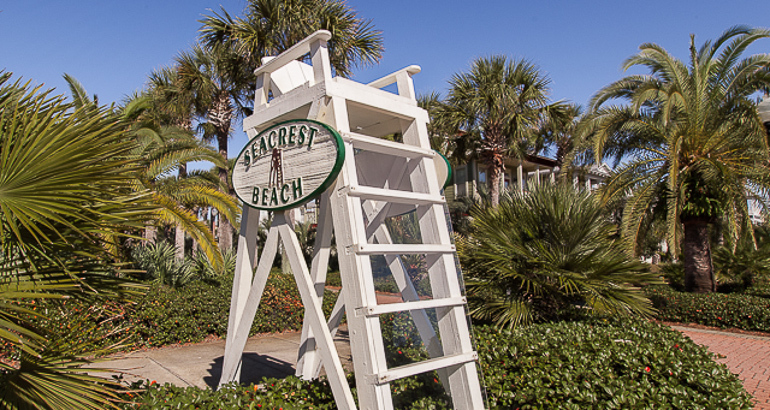 Seacrest Beach is a favorite destination for fishing, beachcombing, and simply getting away from it all. Seacrest is laid back and relaxed. It is a community where people go to let their hair down. It’s the kind of community where the average Joe and the CEO can sit and have a drink by the water, enjoying the gorgeous waters of the Emerald Coast. Seacrest may not be very large, but it still has delicious dining options, shopping, high end spas and endless outdoor activities. The real estate market in the Seacrest area continues to grow, making it a more affordable alternative to Rosemary Beach and Alys Beach. With some of the highest dunes along 30A, the views in Seacrest are unparalleled. Since there is a very minimal amount of commercial development, Seacrest has remained largely private and a very quiet beach community. Homes here range in style and you can build or buy pre-owned. 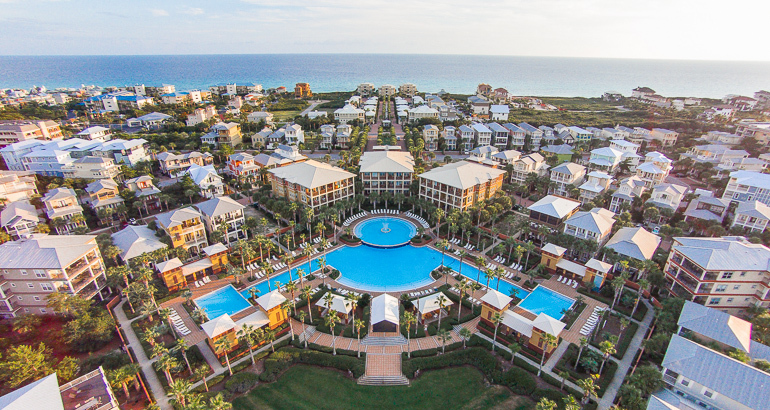 Seacrest Beach: This master planned community is located between Alys Beach and Rosemary Beach and offers opportunities to build or buy pre-owned homes on or right off the beach. The Village of South Walton: Located in Seacrest Beach and fronting Scenic Highway 30A, the Village is filled with condos and commercial properties in a Charleston architectural style. Villas at Sunset Beach: The Villas at Sunset Beach is a wonderful condo complex featuring 3bed/3bath units, all with unobstructed views of the Gulf of Mexico. This smaller development provides an opportunity to enjoy amenities such as beach access and pools, without having to fight any crowds. Sunset Beach: This is a gulf front, gated community filled with single family homes. 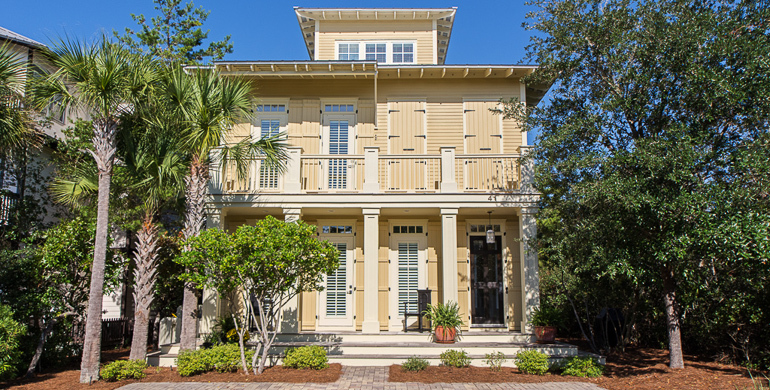 It boasts a heated pool on the Gulf with deeded beach access and is within a walkable distance to Rosemary Beach. Seacrest is first and foremost a beach community. There are no major industrial centers or office complexes in the area. It’s simply a place to relax and enjoy the pleasures life has to offer. While you’re living in Seacrest, the following are some ways you can fill up your time with fun. Go for a ride: There are plenty of trails, boardwalks, and side roads for you to explore. Many of these are right on the beach and provide ample places for you to pull off for a picnic or to simply take in the scenic vistas. Throw a rod in the water: The fishing around Seacrest is one of Florida’s best kept secrets. Deep sea fishermen love the area because the waters just offshore are teeming with everything from Marlin to Bottlenose Dolphin. It’s a sport fishing paradise that Pelican Adventures would be happy to introduce you to. Whether you are looking for a getaway from your busy life, or you want to leave your busy life in the past, Seacrest is the perfect place for you and your family. Its warm waters, friendly people, and diverse atmosphere make it a great place to get away for the weekend, the winter, or the whole year. Seacrest is one of Florida’s “secret” vacation communities. This area is appealing because of its privacy, emerald waters and lack of any significant commercial developments. This makes it an ideal place for you to get away from your hectic schedule and just relax with your closest friends and family.